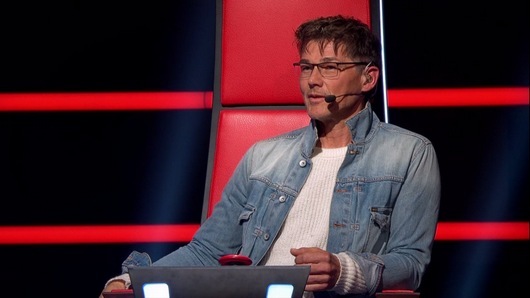 The fourth season of The Voice premiered on TV2 in Norway last night, with Morten as one of the four mentors. Back in 2012, Magne and his fellow mentors performed Coldplay’s “Viva La Vida” at the beginning of the first episode, but this year there was no performance by the mentors. Instead, the show went straight to the first blind audition. Six talents performed tonight, and Morten pressed the red button on five of them. In the end, Martin ended up with two talents for his team, while Morten, Lene and Yosef got one each. 17-year-old Ingeborg is the first talent on Team Morten. Keep an eye on TV2’s YouTube channel and The Voice‘s Facebook page for more video clips in the coming days. The Voice continues with new episodes each night this week until Friday. Starting next week, there will be new episodes only on Wednesday and Friday. 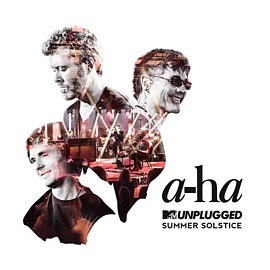 Jugendfest is held at Color Line Stadium, the same football stadium where a-ha played in August 2006, as part of the Analogue tour. 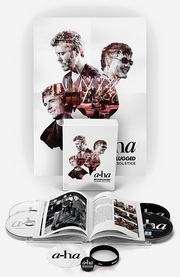 Parkenfestivalen is held at the Rensås park, and this will be a-ha’s first ever concert in Bodø (Morten and Paul have both done solo concerts in Bodø). Tickets for Jugendfest go on sale on Friday, 25 August at tikkio.com, while tickets for Parkenfestivalen won’t be available until 1 November. 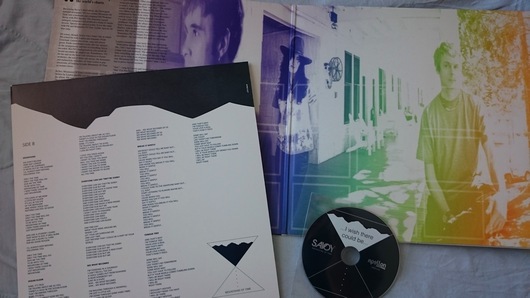 Mountains of Time inner cover with new liner notes by Kieron Tyler, record sleeve with lyrics, and CD. 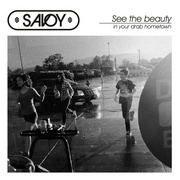 The new and remastered version of Savoy’s Mountains of Time (1999) was released by Apollon Records last month, and those who pre-ordered the vinyl and CD versions from the Savoy Bandcamp page are finally starting to receive their items. I have only had a chance to listen to the new CD version so far, but from the first moments of the opening track “Man in the Park”, the increased clarity and detail resulting from Joe Lambert’s new remastering work is striking. There’s an added punch to the drums and the layered guitars sound razor sharp. To my ears, it sounds really good throughout the album. But those familiar with the original album will also notice that many of the songs are noticeably shorter on this reissue. 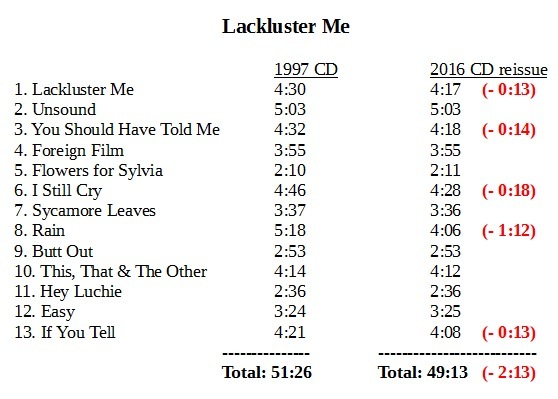 That was also the case with the Lackluster Me reissue last year, which was 2 minutes 13 seconds shorter than the original 1997 release – but it’s even more obvious on Mountains of Time, which has been shortened by 3 minutes 12 seconds in total, compared to the 1999 release. While most of the edited songs simply fade out earlier, some of them, like “Any Other Way” and “Grind You Down” have parts missing in the middle of the songs. According to Apollon Records, editing some of the songs for the new vinyl editions is Paul’s own choice, as it was necessary in order to fit the albums on one vinyl record in best possible sound quality. The original albums were never recorded with the vinyl format in mind. But that’s not really the issue; regardless of the need to shorten the albums for vinyl, the original full-length versions could easily have been used on the new CDs and digital versions. That has not been done. Additionally, Apollon Records has also chosen not to mention the new song edits anywhere. They are still fantastic albums, in beautifully presented gatefold covers with new and informative liner notes. But it’s confusing when certain parts of the songs you’re so used to hearing suddenly are missing. 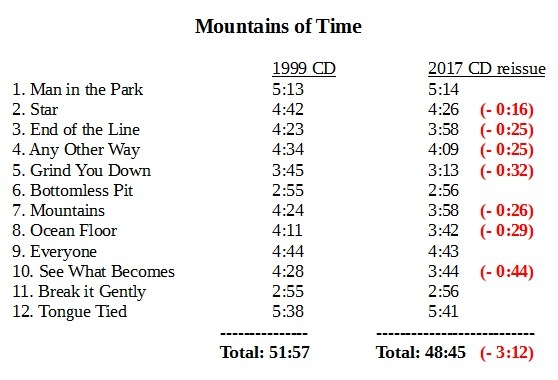 According to some fans, there is also an error on the actual Mountains of Time vinyl record, in the form of a “clicking” noise at the end of some songs that sounds like someone changing tracks. This is not present on the CD version. 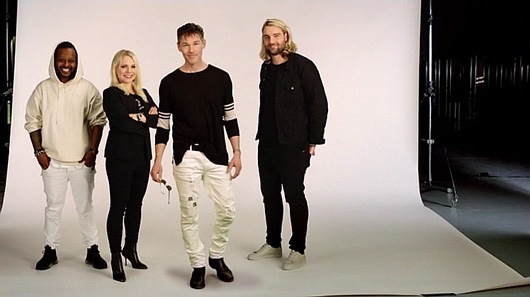 The fourth season of the Norwegian version of The Voice, with Morten as one of the mentors, is now set to premiere on TV2 on 21 August. During the first week, there will be a new episode every night, Monday through Friday, at 20:00. There will also be a marathon-repeat of the first five episodes on Saturday 26 August, from 13:00 to 18:30. A trailer for the show can be viewed at TV2.no.